Speed is the highest factor affecting the risk and severity of vehicle accidents. Traffic studies conclude that a 3 mph reduction in vehicle speed can reduce the risk of accidents by at least 15%. Speed reduction doesn’t just minimize the severity of impacts, it also increases the reaction time buffer—helping drivers avoid collisions entirely and maintain pedestrian safe in the road and communities. 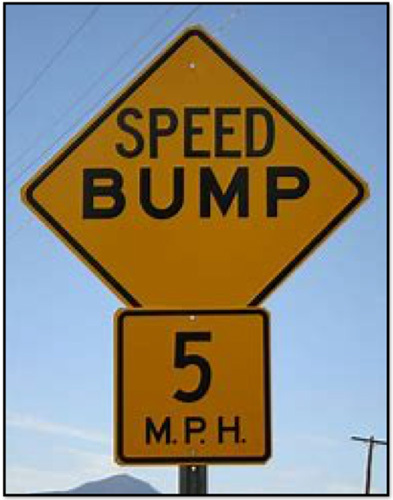 Speed bumps help to reduce vehicle speed and keep people safe in high pedestrian traffic areas. Our products will give you total satisfaction and your roads will be safe and people as well, areas like parking lots and much more will be protected. 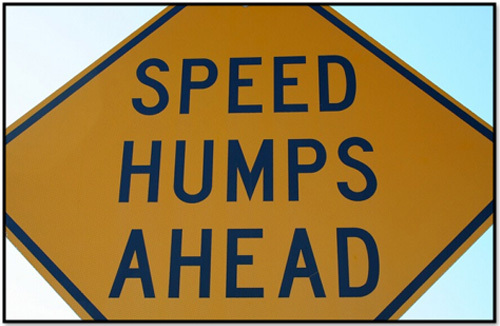 Two of the most common forms of traffic calming are speed bumps and speed humps. These vertical obstacles are designed to slow down vehicles by creating mild discomfort. Speed bumps are an abruptly raised area in the pavement surface that work best at controlling speeds in low volume traffic areas. If a driver ignores them and fails to reduce their speed, they will be met with a jolt as their tires hit the obstacle. Speed humps are a milder form of vertical deflection with a longer traverse. Vehicles are encouraged to slow down to 10–15 mph, instead of a full stop. There are a variety of speed hump configurations used for traffic management including speed cushions, speed slots, and off-set speed humps. A bump in the road is not perfect for every traffic calming scenario. Obstacles work best when the driver knows they’re coming and starts slowing down before arriving at their edge. Speed bumps and humps are usually well marked with contrasting colors or reflective surfaces to ensure visibility, but they also need to be installed in places where a driver can see them coming. A steep grade can also change the effective height of a speed hump or bump, and create more of an impact than is intended. Visibility can also be an issue in some winter climates where snowfall is deep and local streets go unplowed. Pre-drilled holes for easy installation with anchoring spikes or lag bolts. Optional end caps to protect bump ends as well as vehicles. Cat’s eye reflectors to optimize visibility at night. 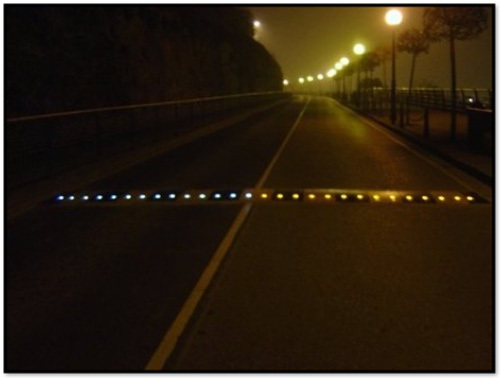 Can be lined together to cover the width of any roadway, to cover single or double lane areas. Can be easily removed for storage / relocation. Can be used for temporary or permanent installation. Resistant to very drastic weather conditions. Speed bump and speed hump, both are designed to address the ongoing problem of speeding. Both are usually made of rubber tires and constructed with a reflective tape to ensure maximum visibility. Installing these traffic control devices is a great way to reduce injuries. Many drivers will travel past and ignore the painted lines on surfaces and the stop signs, but these speed bumps and speed humps cannot be ignored by speeding drivers. These tactical insertions on the road promote awareness and make drivers sensitive to speeding consequences. Ensure vehicles cannot avoid or drive around the speed humps. Ensure proper signage, lighting, and visibility. Speed bumps are designed to reduce vehicle speeds to about 2-5 miles per hour. The goal is to slow vehicles down to a minimum or even to a halt. It’s an aggressive approach to reduce speeding. If your parking lot or facility has issues with motorists ignoring STOP signs, placing a speed bump before the STOP sign can be a very effective solution to enforce a motorist to stop. Speed bumps are normally installed eight feet before a STOP sign. Speed humps, on the other hand, are designed to reduce vehicle speeds to about 10-15 miles per hour. If you want to slow vehicles down but still allow for continuous traffic, speed humps provide a “softer” approach to reducing vehicle speed than speed bumps. Speed bumps are abrupt raised areas, typically 2–3 inches high with a travel length of 12 inches, that can be comfortably crossed at speeds of 5 miles per hour or less. Crossing at higher speeds can cause significant discomfort for the vehicle’s occupants. Because speed bumps require an immediate and dramatic slowdown, they are often considered to be a liability risk on public streets and other roads where higher speeds are allowed. If you need a speed-control solution for low-speed areas, such as parking lots, garages, and low-traffic private roads, speed bumps would be a good option. 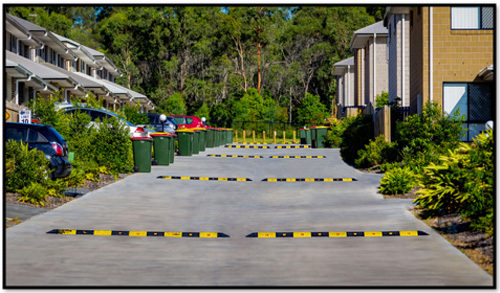 Speed humps are designed to slow vehicles while maintaining traffic flow, with a gentler rise and a lower peak height. Their design allows drivers to cross comfortably without sudden braking, allowing traffic to flow smoothly while still controlling speed. Speed humps are ideal for entertainment venues that accommodate large volumes of traffic, and they are also recommended for residential streets with speed limits of 25 miles per hour or less. If you need a solution for higher-speed areas where smooth traffic flow is essential, consider opting for speed humps. Maintain a safe pedestrian environment by slowing down vehicle traffic with our 6′ Speed Bump. Our prices are the lowest in the market and they include the hardware, the 6 foot speed bump can permanently be installed on asphalt or concrete using its pre-drilled countersink mounting holes. Maintain a safe pedestrian environment by slowing down vehicle traffic with our great 6’ heavy-duty economy speed bumps. Our products will give you total satisfaction and your roads will be safe and people as well, areas like parking lots and much more will be protected. 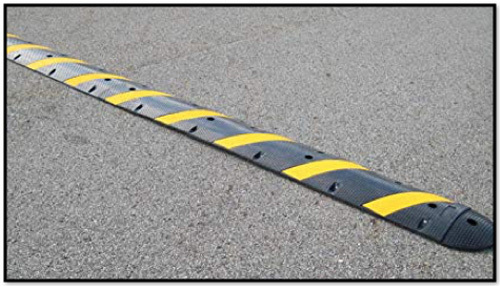 Removable Speed bumpers allow permanent installation with Optional Steel Spikes for use in asphalt and Lag Bolts and Lead Shields for use in concrete. In our great prices we include hardware and we offer great 5 years Warranty. Please give us a call and one of our sales representatives will be more than happy to assist you!